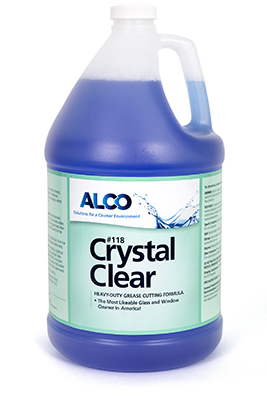 Alco Crystal Clear - Alco-Chem, Inc.
Penetrates dust, smoke, grease, and grime on all glass and hard surfaces. Non-streaking and non-smearing. Ready to use.